Now, in a critical measurement that may one day help predict new physics beyond the Standard Model of particle physics — the model that seeks to explain the fundamental forces of the universe — an international team of researchers with the IceCube Neutrino Observatory has shown how energized neutrinos can be stopped cold as they pass through the Earth. 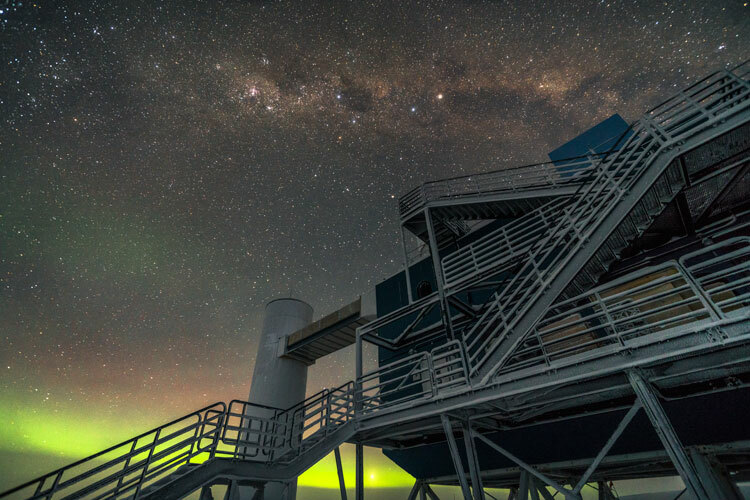 The new measurement is reported today (Nov. 22, 2017) in the journal Nature by the IceCube Collaboration, an international consortium of scientists using the South Pole observatory to explore the neutrino and what it can tell us about matter and the nature of the universe. Neutrinos are among the most abundant particles in the cosmos. With almost no mass and no charge, they rarely interact with matter. Tens of trillions of neutrinos course through our bodies every second. Every once in a while, however, high-energy neutrinos interact with protons or neutrons and are absorbed. Theory predicts that at high energies — higher than can be generated by any earthbound particle accelerator — neutrinos can be expected to interact with matter and be absorbed in the Earth instead of continuing to transit the cosmos. That probability, Halzen adds, is what scientists call the neutrino cross section. The new measurement determines the cross section for neutrino energies between 6.3 TeV and 980 TeV, energy levels more than an order of magnitude higher than previous measurements. 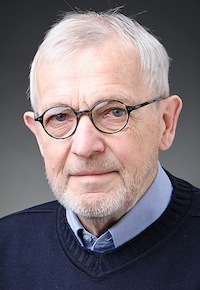 (One TeV or teraelectronvolt is the energy of a proton’s circulation in the Tevatron, a now-shuttered particle accelerator at Fermilab, that once propelled protons around the four-mile circumference of the accelerator’s ring at nearly the speed of light.) The most energetic neutrinos studied so far from earthbound accelerators are at the 0.4 TeV energy level. Catching neutrinos in the act of being absorbed as they collide with other particles in nature requires a massive detector such as the National Science Foundation-supported IceCube Observatory, an array of 5,160 basketball-sized detectors embedded in a cubic kilometer of crystal clear ice a mile beneath the geographic South Pole. IceCube does not see neutrinos directly, but detects and records a fleeting burst of Cherenkov radiation — a streak of blue light — that results when the occasional neutrino crashes into another particle. Analyzing a year of IceCube data gathered between May 2010 and May 2011, the collaboration put 10,800 neutrino interactions under the microscope, paying closest attention to the most energetic neutrinos that course through the Earth from all directions. Neutrinos are generated in a variety of phenomena, ranging from the sun and nuclear reactors to clusters of galaxies and the Earth’s atmosphere as cosmic rays interact with nitrogen and oxygen. The new study looked mostly at neutrinos created when high-energy cosmic rays crash into the nuclei of nitrogen or oxygen in the Earth’s atmosphere. Those collisions produce a cascade of subatomic particles that can generate neutrinos. The sample also included a smaller number of neutrinos probably created in yet-to-be identified cosmic accelerators such as black holes. The IceCube team found that fewer of the most energetic neutrinos were making it to the detector from the Northern Hemisphere, where the particles would have to transit the entire Earth, including the dense core of our planet, before reaching the IceCube sensors. From less obstructed, near horizontal trajectories, more neutrinos were detected. The new IceCube measurement conforms to the Standard Model of particle physics, which is the working theory that helps explain the fundamental forces at work in the universe as well as the properties and behaviors of the family of particles, including neutrinos, that make up all matter. However, Halzen adds, the advantage of IceCube is its ability to measure the highest energy neutrinos, which are produced in cosmic accelerators — supermassive black holes, the violent hearts of star-forming galaxies, and galaxy clusters — that no accelerator on Earth can match. If, for example, IceCube data harbor evidence of neutrinos with cross sections greater than what scientists have calculated using the Standard Model, it could invoke new physics such as compact, hidden spatial dimensions. The new study also suggests that the IceCube detector might extend its scientific reach beyond the realm of astrophysics to geoscience. 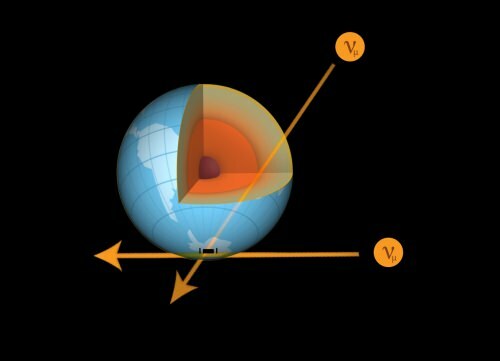 With larger sample sizes, geophysicists may be able to use neutrinos to image the Earth’s interior.